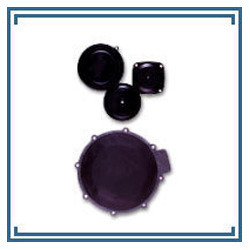 We offer Diaphragms Fabric Seals in all standards and sizes as required by our clients. These find wide application in aerospace, industrial, electronic, agricultural, chemical and medical industries. These are designed to prevent leakage and are ideally suited for hazardous applications, including those with harmful and corrosive gases. Moreover, our range is used to cater to the needs of various fitting applications in different industries & sectors. Looking for Diaphragms Fabric Seals ?